Juvederm is a wrinkle filler and anti wrinkle treatment but is it worth trying? "Juvederm Is A Temporary Wrinkle Filler But Is It A COMPLETE Anti Wrinkle Treatment?" Juvederm has become a popular wrinkle filler since 2006 (in the United States, when the FDA approved it as a wrinkle filler). Hyaluronic acid is the main ingredient in this wrinkle filler. Hyaluronic acid is a naturally occuring complex sugar compound that's created by the human body, whose main job is to maintain the skin's elasticity and suppleness. So what exactly is Juvederm? Is it an effective wrinkle filler? It is a smooth gel made up of man made (or synthetic) hyaluronic acid which gets injected into certain areas of the face where wrinkles are prevalent. The hyaluronic acid is intended to smooth away wrinkles by adding volume and suppleness to your skin. As a side note, Juvederm is the brand name of the wrinkle filler but hyaluronic acid is the main ingredient in it. I was confused at one point so I figured I'd add this note for those of you who may not be aware of this already. Also, hyaluronic acid is used in another popular wrinkle filler called Restylane. In the last several years, hyaluronic acid and Juvederm have become an effective anti wrinkle treatment. Can Juvederm Get Rid Of Lip Wrinkles? Yes! The wrinkle filler is known for making lips more plump and fuller. Thousands of patients have turned to this anti wrinkle treatment as an effective way to get rid of lip wrinkles as well as other facial wrinkles. Between the eyebrows (Juvederm is injected to get rid of forehead wrinkles) During the treatment, the hyaluronic acid gel is injected into the mid to deeper region of the skin to smooth away wrinkles. The wrinkle filler is used not only on wrinkles but folds as well; folds such as the nasolabial folds. Nasolabial folds are also known as "smile lines." They're the folds which run from both sides of the nose to the corners of the mouth. As people age, the nasolabial folds get more pronounced and so they turn to an anti wrinkle treatment to smooth away the wrinkles. Juvederm is a very popular wrinkle filler and anti wrinkle treatment that gets rid of lip wrinkles, forehead wrinkles, and many other facial wrinkles. 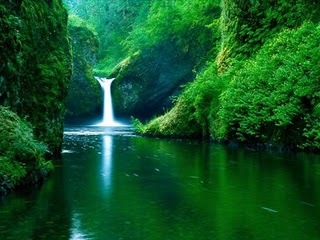 The hyaluronic acid has allowed it to become a well recognized and highly recommended anti aging treatment. Is Juvederm An Effective Anti Wrinkle treatent? Hyaluronic acid is an effective wrinkle filler because it "plumps" the wrinkles out of the skin. Since it is a naturally occuring substance in the body that retains moisture and suppleness of the skin, the production of hyaluronic acid by the body begins to dwindle as we age. But at what cost? The injections are only temporary fixes to wrinkles. The injections are quite painful from what most patients have said and the fact that there isn't a long term history of Juvederm use, it's difficult to say whether or not it is a great anti wrinkle treatment or not Effective? Sure. How does the hyaluronic acid work? It is injected into the upper to mid layer of the dermis and the gel then plumps up the skin, thus eliminating wrinkles. 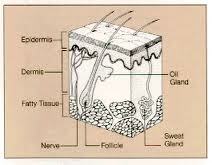 Please be aware that the dermis is the second of the three layers of skin (under the epidermis but above the hypodermis) that's connected to sweat glands, oil grands, connective tissue, nerve endings, and blood vessels. I wouldn't trust injecting synthetic hyaluronic acid into my body and I believe that natural Juvederm alternatives are the best way to get rid of wrinkles. Also, at a cost of about $1,000 or more per treatment every 6 months to a year, it certainly isn't a bargain. And sometimes it takes two or three treatments to work its "magic." My response is simply "no thanks!" The best permanent solution to get rid of wrinkles is not Juvederm but is an anti aging diet. Are There Natural Juvederm Alternatives? An anti aging diet through the use of anti aging foods is a great natural alternative to the popular wrinkle filler. I like the fact that it's also pain free, unlike the hyaluronic injections. And we also don't have to worry about the long term side effects of anti aging foods. Another plus if you ask me. There are some excellent natural skincare recipes that my wife and my sister swear by. It's so impressive that Fox News spent some time reviewing this woman's natural skincare secrets and gave it some rave reviews. For the short video of that review as well as more information, Click Here! As a side note: for those of you who have the electronic book readers such as the Nook or the Kindle or the Samsung Tab, this ebook is very much worth your time. You would be doing yourself a great injustice by not clicking this link and watching the short video that Fox News produced. You'll be blown away!! For what it's worth, I can't stop complimenting my wife's new, rejuvenated appearance. I tell her how beautiful she looks all the time. The rejuvenating skincare recipes in this ebook are absolutely incredible and much cheaper than the injections. At a cost of about $19, it's a much better and much cheaper (natural) alternative to Juvederm and you have a solid 8 week guarantee or your money back. This book is 130 pages of solid anti aging secrets that promise to deliver incredible results. I can promise you that I would never promote any products that I didn't fully believe in. Trust me when I say that this book will absolutely blow you away and take years off of your appearance (without any side effects at all). This ebook, by Sue Dolan is, in my opinion, the ultimate natural alternative to all synthetic wrinkle fillers. What Are The Side Effects Of Juvederm And Hyaluronic Acid? There are some scary and painful side effects associated with wrinkle fillers such as hyaluronic acid. From what the makers of the product state, the side effects are only temporary in most cases. The most common side effects are redness at the injection site, firmness, swelling, pain, bruises, bumps, and discoloration of the skin. I'm not sure about you but those side effects sound quite scary. Even though they're usually temporary, the long term effects of Juvederm are not yet known because the product has not been out on the market for very long. If by chance there are some horrible long term effects, it may be too late to reverse them. What good is a financial settlement if your looks and health are permanently and negatively impacted? It is our belief that a natural approach to an anti wrinkle treatment is the best way to go about the wrinkle filler path. A natural anti aging system is a greater long term solution to wrinkle treatment than Juvederm.